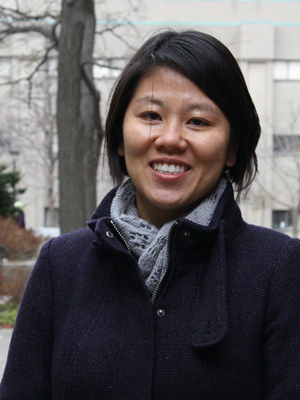 Jolynn Pek received her Ph.D. in Quantitative Psychology from the University of North Carolina at Chapel Hill at the L. L. Thurstone Psychometric Laboratory in 2012. She was recently elected as a member of the Society for Multivariate Behavioral Research in 2017 and was awarded the Early Researcher Award by the Ontario Ministry of Research and Innovation in 2016. Her research interests are motivated by quantifying uncertainty inherent in results obtained from fitting models to data, especially latent variable models. Quantifying uncertainty is fundamental to understanding the limits of statistical results and ascertaining statistical conclusion validity. There are many sources of uncertainty in statistical results. Uncertainty may be due to the presence of influential cases which can unduly affect parameter estimates, motivating the development of identification and diagnostic methods. Parameter estimates also carry uncertainty in the form of sampling variability which are communicated by confidence sets; a related but distinct aspect of parameter uncertainty is carried by fungible parameter estimates which are alternative descriptions of the data afforded by parameter values which are associated with a similar level of fit to the data compared to optimal estimates. Finally, the functional form linking constructs during the exploratory phase of research is uncertain, prompting the development of methods to flexibly recover unknown relationships. Dr. Pek has formalized and developed different approaches to quantify these various sources of uncertainty in terms of estimation, algorithms, measures, and graphical approaches. Pek, J., & Wu, H. (in press). Parameter uncertainty in structural equation models: Confidence sets and fungible estimates. Psychological Methods. Pek, J., Wong, A. C. M., & *Wong, O. (2017). Confidence intervals for the mean of non-normal distribution: Transform of not transform. Open Journal of Statistics, 7, 405-421. doi: 10.4236/ojs.2017.73029. *Student co-author during time of research conducted. **Postdoctoral fellow co-author during time of research conducted.